Drink plenty of good fluids, such as water, low-sugar sports drinks and diluted fruit juice. Be careful with vitamins and mineral supplements. Remember that most of our needed vitamins are obtained just by eating a balanced diet. Some over-the-counter supplements can contain lactose, starch and other ingredients that can worsen your symptoms. Look for the USP (United States Pharmacopeia) symbol on the bottle. Besides eating a recommended diet, there may still be some supplements suggested for patients with IBD. Talk to your health care provider about assistance from calcium, vitamin D, folic acid, vitamin B12, iron, zinc and probiotics. Live-culture yogurts are recommended for all IBD patients. As with any health condition, healthy lifestyle practices make it easier to manage your diagnosis. Don’t smoke, or quit to reduce symptoms. 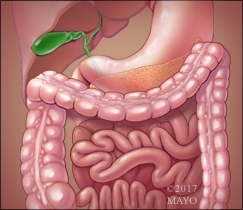 To learn more about IBD, visit mayoclinic.org/ibd.